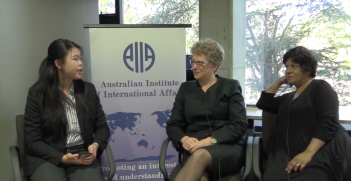 This article is last in a series of three to coincide with the AIIA’s conference on Australia and the Rules-Based International Order on 18-19 July. Read the first article here and the second here. Foreign policy, which engages every element of world politics from the melting of the Antarctic ice sheets to Donald Trump’s ego, is not well suited to long-term planning. Insight to official thinking can be found in the 2017 White Paper, a thoughtful and complex document, and as analytically frank and radical as could be expected from any official statement. What is new is the directness with which it declares that ‘significant forces of change are now buffeting’ the international system and its uncertainty about where these changes may lead. It notes that ‘some of the trends identified in this White Paper will move against Australian interests in ways that will require further responses’. The paper notes the ‘greater debate and uncertainty in the United States about the costs and benefits of its leadership in parts of the international system’. It judges that ‘without sustained US support, the effectiveness and liberal character of the rules-based order will decline’. In Australia’s own region, it argues that without American political, economic and security engagement, power is likely to shift ‘more quickly’. It is, in other words, the speed rather than the overall direction of change that is in question. 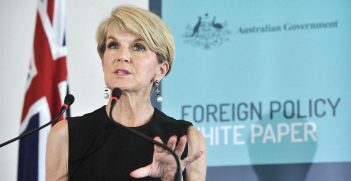 The White Paper’s analysis is deeper than its discussion of policy responses, but those three elements that weave through Australian foreign policy since 1945 – the alliance, the region, the rules-based order – are all reaffirmed. As it acknowledges, however, each of them is changing. The two countries which most shaped our 20th century history – the United States and the United Kingdom – are undergoing profound adjustments. President Trump is pursuing interests and values in a number of areas which differ more clearly from Australia’s than those of any Administration we’ve seen before. 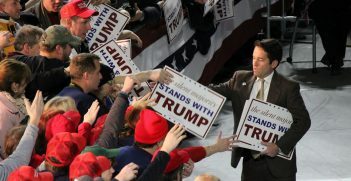 Whatever comes next, we have almost certainly seen the high-water mark of American efforts to reshape the geopolitical landscape in both their Republican and Democrat manifestations. Global Britain will be no substitute for imperial Britain, and less helpful to us as an entry point to Europe. The second pillar, the Asian region, is changing just as much. China is at the centre of this. We are dealing with a China which is richer, more confident and more assertive than at any time in modern history. Its aspirations are clearer than its strategy. It wants to resume a place of influence in the world commensurate with its size and civilisation. But it is not yet sure how to do that and not big enough to achieve it by its own force. 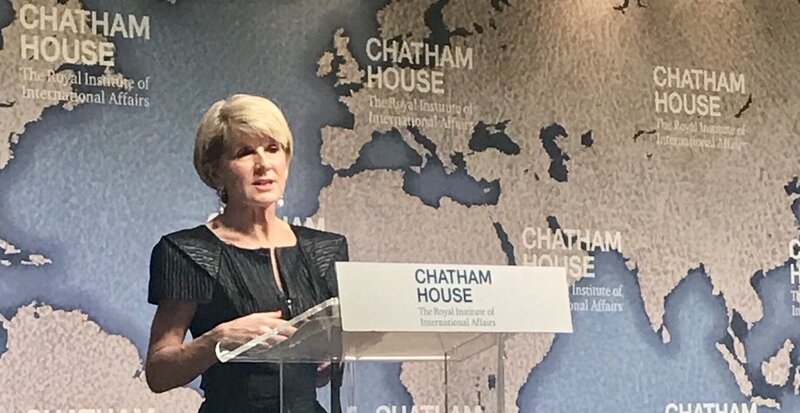 One important policy change – central to the structure of the White Paper – has been the reframing of Australia’s strategic environment from the Asia-Pacific to the Indo-Pacific. A number of countries have for various purposes discovered their own Indo-Pacifics recently. But for Australia, the framing makes particular sense. It includes both the oceans surrounding our continent, with Southeast Asia acting as the linchpin between them. It encompasses the energy supplies, production chains, infrastructure and security connections that link the Middle East, West Asia and East Asia. It also incorporates US security and economic connections across the Pacific. It engages India more directly in Australian policy, and it places China in a broader strategic framework. It has been endorsed in official documents from both sides of politics. As well as noting these changes in the world, however, it’s also important to reflect on how different the country responding to the changing order is from the Australia of 1919 or 1945. It’s more populous, diverse and richer. The economy has now been growing for 27 years without a recession. National confidence may be the largest single shift in the Australian position since 1945. ‘We are one of the oldest democracies and the most successful multicultural society in the world’, says Malcolm Turnbull in the White Paper. ‘More than ever Australia must be sovereign not reliant’. Values, too, are different from those Australia expressed during the last two changes of order. ‘Australia does not define its national identity by race or religion, but by shared values, including political, economic and religious freedom, liberal democracy, the rule of law, racial and gender equality and mutual respect’, the White Paper declares. The struggle for a restricted immigration policy, at the heart of Hughes’s response in 1919, and still important in 1945, is long gone. Non-Europeans formed just 0.3 per cent of the Australian population in the 1947 census. Now one in every ten of us has some Asian background. A new generation of migrants and millennials will be less inclined to see geography as predicament and less given to thinking about themselves as regional outsiders. They will understand the past – and therefore imagine the future – in new ways. Openness is one of the White Paper’s leitmotifs. This openness is not ‘an absolute’, the White Paper makes clear. But at a time when attitudes towards economic protectionism and cultural nativism have become a central dividing line in the politics of many Western countries, the bipartisan support for openness in the political centre of Australian politics is unusual and important. It is also, as the experience of old friends reminds us, fragile. No single power will be able to generate the energy needed to shape and sustain a new international order alone. China cannot do so, nor can the United States. Energy will have to come from a networked grid, not a single power source. That’s going to place far more weight on the individual elements in the system to contribute order-generating energy. In Australia’s case, this will mean broadening the company we keep and seeking out partners whose interests in this enterprise align with our own. We will have to combine our energy with that of other middle powers in Asia – like Japan, Indonesia and India – in Europe, and in parts of the world that are relatively new to our diplomacy such as Latin America and Africa, to reinforce a rules-based order, to support vital regional institutions, and to develop the ideas that will enable us to address new challenges from the spread of protectionism to the control of lethal autonomous weapons. The work Australia, Japan and others did to rescue the Trans-Pacific Partnership trade deal after the US withdrawal was exemplary. The strategic and economic ecosystem that will be required to organise this new environment will be varied and changeable. It will look very different from the hub and spokes of the 20th century alliances and the broad multilateral institutions which sought to manage global politics and economics. The need to find policies that successfully bridge the perpetual, and necessary, tension between a tragic imagination that can contemplate catastrophe and an inspired imagination that can envision a better world is about to be tested. The outcome is far from assured. Allan Gyngell AO FAIIA is National President of the Australian Institute of International Affairs and an Honorary Professor in the ANU’s College of Asia and the Pacific. This article is third in a series of three edited extracts from his Gallipolli Memorial Lecture delivered at the Royal United Services Institute for Defence and Security Studies in London on 29 June 2018. Read the first article here and the second here. A conference on Australia and the Rules-Based International Order was held on 18-19 July organised by the Australian Institute of International Affairs, Department of Foreign Affairs and Trade and ANU Coral Bell School with the support of the Attorney-General’s Department. Tensions between the old desire for territorial sovereignty and the current sense of crisis that is driving states to cooperate will have implications for the survival of the rules-based international order and the human rights values it upholds.